Tehran: Tehran will continue supporting Baghdad in its fight against terrorism as Iraq’s security is intertwined with that of Iran, President Hassan Rouhani has said. “Nevertheless, the people and government of Iran have been and will continue to be beside the government and nation of Iraq,” the Iranian president emphasised, Press TV reported. Stability, security, and peace in Iraq and Iran’s other neighbours can help progress and economic development in the region, Rouhani added. Referring to attempts by some countries to sow discord among Iraqi people to achieve their short-term interests, he said Iraq should make an all-out effort to strengthen national unity to counter the enemies’ plans. 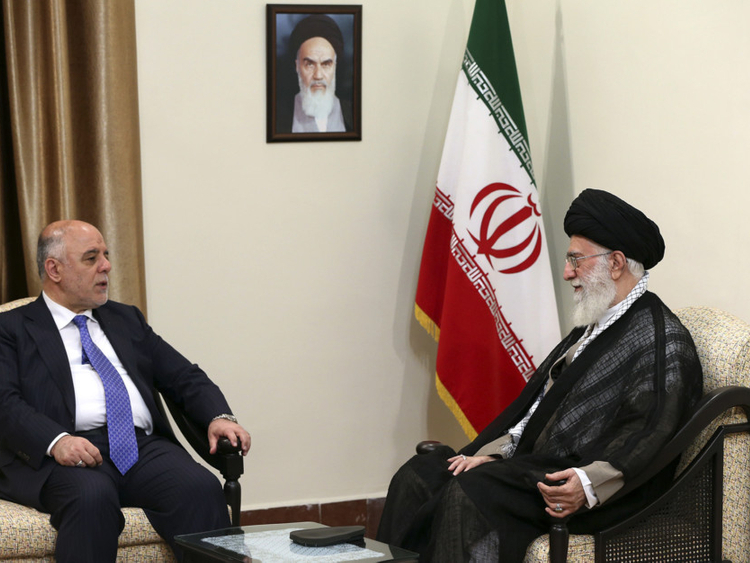 Al Abadi hailed Iran’s friendly support for Iraq in its anti-terror efforts and said the continuation of Tehran’s assistance to Baghdad would help in the fight for eradication of the Daesh terrorist group both in Iraq and the Middle East. The Iraqi premier also called for the expansion of bilateral trade and cultural ties. Terror by Daesh has plagued Iraq since the terrorist group seized some parts of the Arab country in June 2014. The Iraqi army, joined by volunteer fighters, has engaged in various military operations to flush Daesh terrorists out of the areas they have under control, and has so far made some advances, including liberating the strategic city of Tikrit in the north.